What makes X-TREME PH™ SPORTS WATER unique? Many alkaline waters are only slightly above 7 pH, while others achieve a higher alkalinity through either electrolysis (ionization) or the use of high levels of inorganic minerals (referred to as "Total Dissolved Solids" or "TDS" and measured in "parts per million" or "ppm"). X-TREME PH™ SPORTS WATER is the only high alkaline water that achieves its high alkalinity of 9+ pH using its proprietary, plant-derived mixture of calcium, magnesium and potassium which is injected into its source water at very low levels for a TDS of less than 25 ppm per bottle! 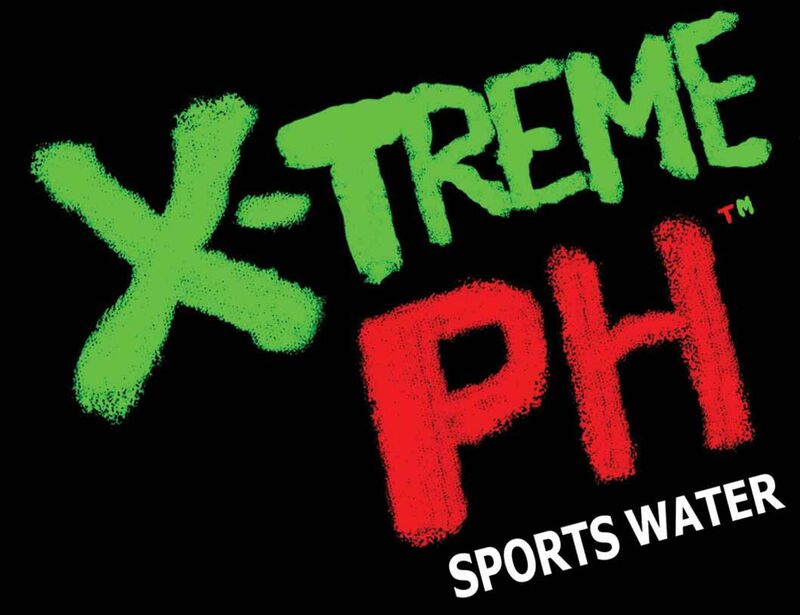 Nothing else is added to X-TREME PH™ SPORTS WATER - NO dyes, NO sugars, NO caffeine, NO sweeteners, NO artificial flavors! Even our BOTTLE is different! X-TREME PH™ SPORTS WATER is bottled in a heavier (22 gram) bottle that is made to withstand the rigors of sports, workouts, and your everyday life. The little "hiss" you might hear when your bottle is first opened is because X-TREME PH™ SPORTS WATER is slightly pressurized with inert nitrogen at bottling to increase the rigidity of our bottles during shipping and handling, and to let you know that your bottle has remained sealed for purity right up to the time you open and enjoy it!